Countdown calendar Christmas. 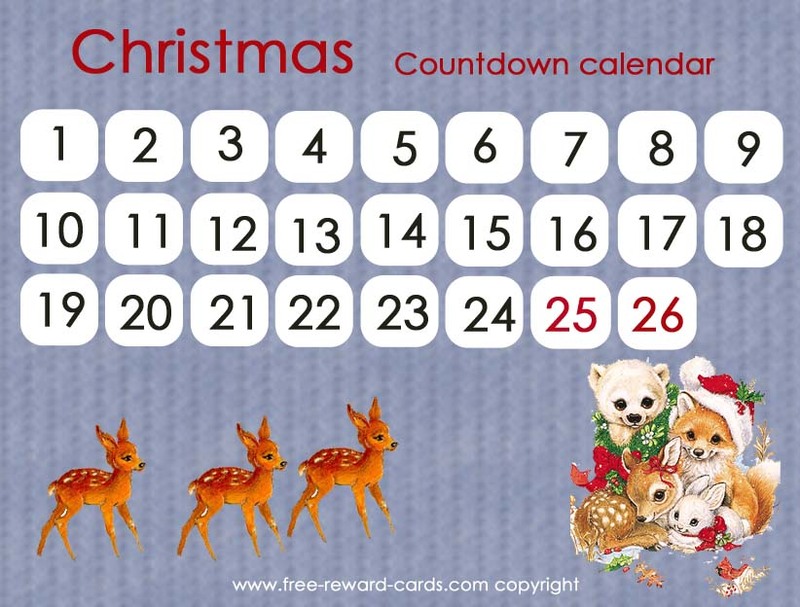 All these really nice countdown calendars for Chistmas are free printable via www.free-reward-cards.com. The cards are ment to make parenting more fun and easy for both parents and children.